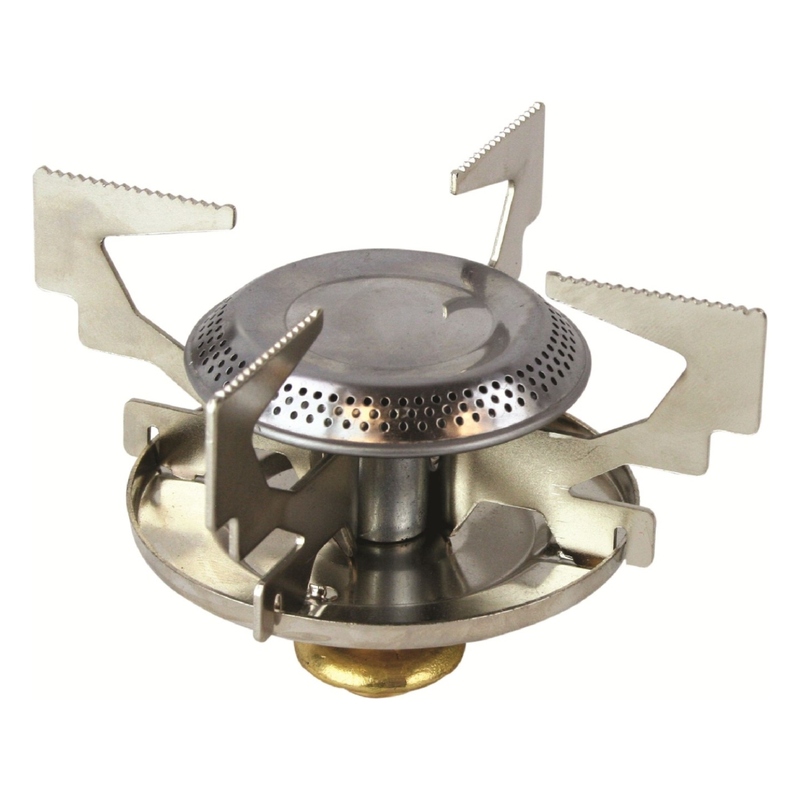 This Highlander Field Stove is designed for screw top gas cartridges and features a flame control dial allowing you to simmer or boil. 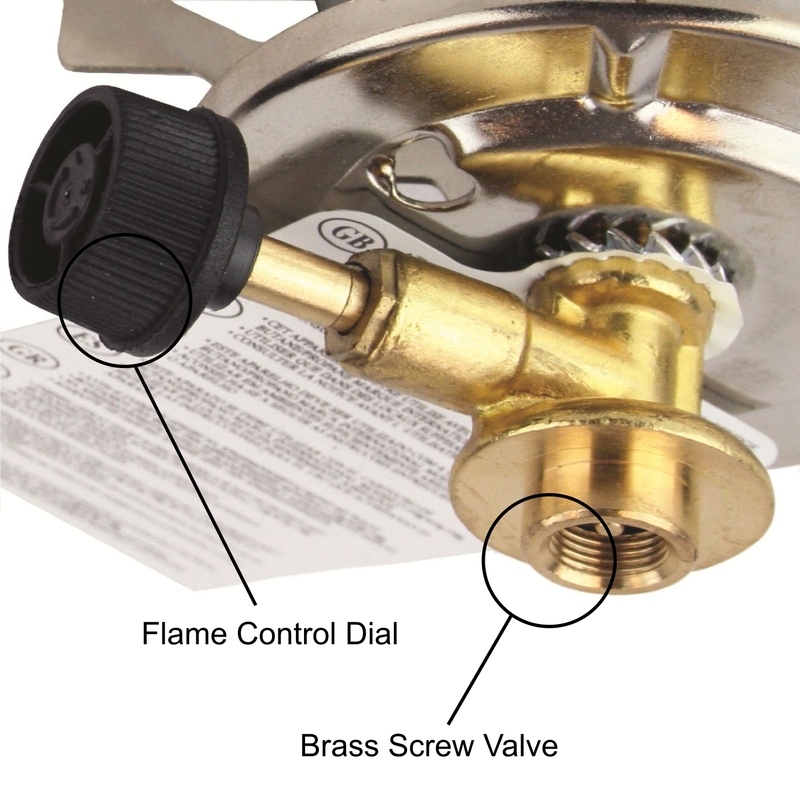 There is a strudy steel pan support and this camping cooking stove has a brass screw valve so it is durable. It is suitable for 230 / 460g screw valve cartridges ONLY. Consumption is 70 g/h, 0.96kw. The weight of the stove without a gas canister is 260 grams. Dimensions: 12.5 x 12.5 x 8.5 cm.